That is a lovely shot where the texture of the petals becomes more important than their color. 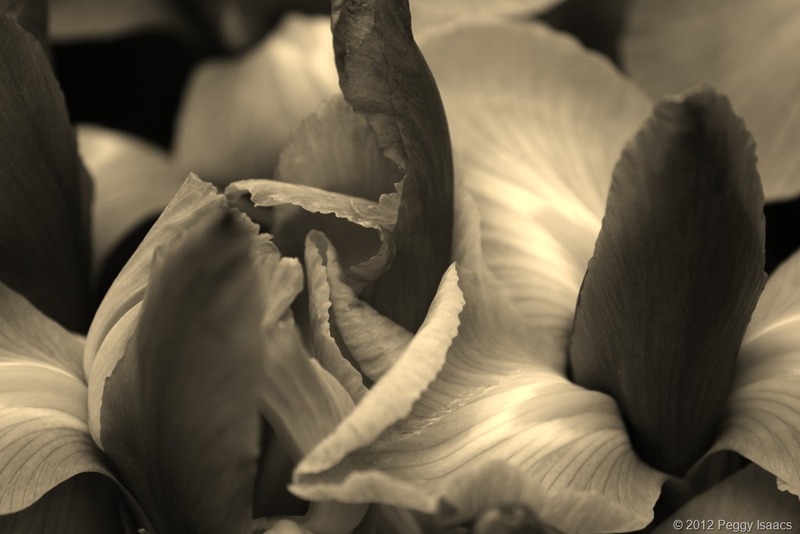 It allows us to perceive the irises differently, to see a different aspect of their beauty. Well done.